(Q): What does the current square of Saturn to the transiting nodal axis mean? When there is a planet transiting and squaring the nodal axis does it apply to the collective in terms of of skipped steps? (A): Yes. Saturn square the nodes applies only to the collective unless it also squares an individual's nodal axis. In the context of the current collective consciousness it sets in motion all kinds of power plays, power trips motivated exclusively by self-interest, which has the effect of intensifying all the current 'blocks' of small groups that have such motives and agendas. From there, these blocks of small groups then attempt to manipulate or mislead other groups in order to have their specific agendas occur. Within this, there are other small groups who have opposite agendas, agendas that will benefit the overall collective versus the limited self-interests of the other small groups who are only motivated by their own exclusive self-interest and agendas while pretending that they are not. The intent, from God's point of view, is to expose the deceit and hidden agendas of those limited, small groups defined by such self-interest. (Q): I have observed that many individuals who have Pluto squaring the Nodes have de-evolved from higher evolutionary stages. Meaning they reached in past lives a certain stage of evolution but either misused their position or have evolved "too fast" and now need to go back to rebuild foundations of their value system (relating to the house and signs involved). Do you have any opinion on this; do you believe this could apply to Pluto conjuncting either node? (A): Yes, your observations are correct. This can also be the case when Pluto is conjunct the South Node, but I have not observed this in relation to Pluto conjunct the North Node. (Q): Is it possible that Pluto, the planet squaring the nodes in the skipped steps dynamic, could also reflect a soul who, for this particular life, has chosen to "block" to some extent the level of evolution it has attained prior to this life for deeper reasons and not because of de-evolution or misuse of whatever? And within this, at some point in the current life the individual becomes 'unblocked' and 'recovers' a vast recollection of awareness within its consciousness that was inconceivable to itself prior to the unblocking. If this is the case, could you please supply an example which examines this dynamic relevant to the Soul's intention and evolution? I would like to have a general understanding in your words. I have given some thought to possible reasons why such a condition would exist relative to the overall intent of a chart's aspects/dynamics. I understand that from time to time even "Masters" choose conditions not unlike this idea in some life or other to recover the specific destiny and purpose on Earth, which necessitated reincarnating under these conditions in the first place. (A): Yes. This is possible and is reflected in the Pluto square the nodes, which is the very nature of the skipped steps in the example/question you have posed. I know of no examples, however, to give you on this this specific point. (Q): 1. A planet squaring the nodal axis indicates skipped steps. If I understand correctly, neither area is thoroughly developed or integrated within the Soul, and the Soul needs to recover those skipped steps so that evolution can proceed. On the correspondence school tapes you said that the node that last formed a conjunction with the planet squaring the nodal axis has to be developed consistently. Ulrich taught us in Hamburg in 1997 that you simply pretend to stand on the planet squaring the nodal axis and look into the center of the zodiac, then you look to the node that is to the left of the planet. This node is the "node of solution" (the node which last formed a conjunction to the planet squaring the nodal axis). For example, the node which last formed the conjunction with the planet squaring the nodal axis is the south node (and its planetary ruler in house and sign): did I get you right, that the planet squaring the nodal axis and the node of solution (for example the south node) show you, what the intentions of the soul are, in order to bring these ambivalent themes together, so that the soul has the opportunity to develop the polarity point of Pluto? In past lives the soul itself wasn`t able to develop the polarity point of Pluto because of those skipped steps, so the soul has to go through this flip-flopping again to become "whole" and to cure the old dynamics through the repeating. Did I understand you right, that as soon as you develop the node of solution (e.g. south node) you move forwards in order to develop the polarity point of Pluto? But what happens with the other node, e.g., the north node? Will it be cured by living the south node (as the solution node), or do I have to relive the north node with the dynamics of the south node? 2. On the 7th Pluto School tape you talked about Yogananda, who has Venus in Aries in the 11th house squaring the nodal axis of the Moon, with the North Node in Cancer in the first house conjunct Pluto and the South Node in Capricorn in the seventh house. When looking at Venus, I noticed that the South Node in Capricorn last formed a conjunction with Venus, so the South Node in Capricorn would actually be the resolution node. But, you said the North Node was the solution. Why? Is it because Pluto is conjunct the North Node in Cancer in the first? Does this mean that normally the node that last formed a conjunction to the planet squaring the nodal axis is the solution (the node which is consistently developed), but if Pluto conjuncts the North Node, then the solution is the North Node, its ruler and Pluto, and all the other special provisions/exceptions are unimportant? (A) 1. I'm quite confused by your question because it appears that you have included different dynamics within the same question. In all cases when the North Node is the node that last formed a conjunction to the planet that squares the nodal axis, then the North Node is the one that is consistently used as the integration point for the South Node and its planetary ruler. The issue here is one of consistency versus the old pattern of fluctuating back and forth between the nodes (the houses that they are in) relative to the base line of the house and sign that the squaring planet itself is in. In all three areas--the planet squaring the node, the houses and signs of the North and South Nodes, and the location of their planetary rulers--have not been consistently developed, causing this fluctuation. If the node that last formed a conjunction is the South Node, then that is the node that the person must consistently orientate to. This means that the North Node and its planetary ruler are consistently developed via the South Node by house and sign and the location of its planetary ruler. What a planet squaring the nodes means in this example is that the North Node has already been acted upon prior to the current life; thus, it is not 'new.' The person will already be familiar with the dynamics of it. Again, the issue is one of consistency. When Pluto is squaring the nodes, these same principles apply and include its polarity point. 2. The example you cite is not Yogananda; it is the chart of one of his main disciples, Kriyananda. In this case, since Venus squares the nodal axis, the solution for Venus is the South Node because it is the node that last formed a conjunction to Venus. The solution for the South Node itself is the North Node because of the Pluto conjunction to it. In his actual reality this is the way it played out. In the first part of his life he was a totally dedicated, celibate monk who lived alone (Pluto conjunct the North Node), who finally established his own spiritual community (North Node conjunct Pluto squaring his 11th house Venus in Aries), a community that he put together totally on his own. As this community developed over the years, he became aware that he needed to be in a 'spiritual relationship' in order to show others an example of two people who were married and were pursuing a spiritual life at the same time. The South Node in Capricorn in the 7th house created the 'delay' in this awareness, compounded by the resistance of the planetary ruler of that South Node (Saturn in Scorpio in the 5th house). He was well into his fifties before he 'opened' up to the need to complete his own 'skipped steps', but he then did get married. He got married only after establishing himself and his lifestyle, plus the community (Pluto conjunct the North Node in Cancer in the 1st squaring Venus in Aries in the 11th). Only after that did he orientate his consciousness to relationship (Venus squaring the South Node in Capricorn in the 7th); yet this was done in the context of his existing life within the community. (Q): When two planets are in opposition and both square the nodal axis, what rule applies to consistently integrate the skipped steps? Both the South and North Nodes and their rulers by houses, signs and aspects? Also, when the transiting Pluto aspects this opposition, activating recovery of skipped steps, does that same "rule" apply for recovery? (North Node and South Node and their rulers, by houses, signs and aspects)? (A): First, you must determine which node(s) last formed a conjunction to the planet(s). In the case where the squaring planets and the nodes of consistent development are not the same, i.e., the South Node last formed a conjunction to a planet on one end of the opposition and the North Node last formed a conjunction to the planet at the other end of the opposition, then you have a situation where both nodes are being developed simultaneously. This usually creates the life experience where the past always seems like the future, and the future seems like the past, although one. But that is the karmic/evolutionary resolution. When the transiting Pluto is aspecting these nodes, then the above rules apply. (Q): Is Mars conjunct the South Node in a natal or composite an intent to relive a past life scenario once again? (Q): Saturn is retrograde in the first house and squares the retrograde nodal axis, with the South Node in the fourth house and the North Node in the tenth. When looking to the node that last formed a conjunction, because both are Retrograde, would the North Node be the one that should be worked on in this life? The thing that confused me the most is the Retrograde. If only Saturn were retrograde, would the South Node be the one to concentrate on in this incarnation? (A): For your example I would need to know the signs of Saturn and the nodes. It makes no difference if Saturn, or any other planet, is retrograde when squaring the nodes. We are dealing with the 'mean' motion of the planets; the mean motion of all planets is direct, not retrograde. As an example: if Saturn were retrograde in Taurus square the South Node in Leo and the North Node in Aquarius, then, due to the mean motion of all three points, and keeping in mind that the mean motion for the nodes is retrograde, then the node that would have last formed the conjunction to Saturn would be the North Node in Aquarius. (Q): I am trying to figure out how one counsels a client relative to resolution of a skipped step scenario. I've got someone with Pluto in Leo in the 8th house and the South Node in Cancer conjunct the Sun in Leo. Uranus, Jupiter and Mercury are in Cancer. The North Node is in Capricorn in the 1st house squaring a Neptune/Ceres conjunction in Libra (intercepted). Saturn, ruler of the North Node, and Black Moon Lilith are in Scorpio in the 9th (skipped step). The Moon, ruler of the South Node, is in Taurus in the 4th. Lucifer in Aries in the 3rd opposes Neptune. To resolve the skipped steps indicated by Neptune, Saturn, Ceres and Black Moon Lilith, the resolution point will be the South Node (the last node that applied to these planets), but the integration point for Lucifer would be the North Node. To do this would one take those skipped planets in the 9th house and analyze all aspects relative to them and the South Node with its planetary stellium and then assess how it could be resolved through positive application via the South Node ruler? For the skipped step indicated by Lucifer in Aries in the third, do I look to the resolution through the North Node in Capricorn in the first and it's planetary ruler, Saturn? (Q): Intellectually I understand the meaning of skipped steps as applied to the Nodal Axis; this nature of going backwards before going forwards. I can also understand circumstances in former lives where the soul would obviously have wanted to depart from South Node conditions and prematurely embrace the North Node reality. However, I am having a hard time absorbing the true significance of such and how this relates to a chart where the Nodal Axis does not have this skipped step dimension. When is the skipped step chart free from alternating back and forth from the past and future possibilities? Or is that a necessity for the life? While a chart that does not have skipped steps seems to have a more concrete direction to move toward following the first Saturn return, does the skipped step chart have a similar time frame which dictates when those skipped steps should have been recovered, thereby freeing the individual to proceed in a steady forward moving direction? (A): It is resolved when the individual, in fact, recovers the skipped steps, which is an issue of free choice. Even though evolutionary necessity determines the fate of this pattern, i.e., fated to create a life in which the soul intends to recover the skipped steps, the soul still has the free choice whether it will do so or not. Thus, the timing of such a resolution is determined by the person's choice making. Again, the real key is to determine which node last formed the conjunction to the planet squaring the nodes. It is this symbol and the location of the node and its planetary ruler and the aspects they're making that must be orientated too consistently which allows for such a resolution. When one finds a planet on the North Node, relative to a planet(s) squaring the nodes, this means that the person has been working on resolving those skipped steps prior to the current life, yet the skipped steps remain to some extent as 'residual' and/or ongoing issues from the most recent prior lives. Thus, the 'timing' of such a final resolution can tend to occur earlier in the life than otherwise: normally between the ages of 28 and 36. When a planet is on the South Node and there is no planet on the North Node, then the skipped steps generally are in place until the second Saturn return. When there is a planet conjunct both the North Node and the South Node, the resolution can generally take place between 36 years and 56 yrs of age, depending on the choices the individual makes. (Q): When Pluto is conjunct the North Node and you have a planet square the nodal axis with the South Node being the one that last made a conjunction to that planet, do you develop the South Node to recover the skipped steps? Or is everything still funneled through the North Node? How does one integrate the skipped steps in this case? (A): In this case, the planet squaring the nodes and Pluto, with the South Node last forming the conjunction to the planet making the square, means that even though the person has been trying to make new choices (Pluto conjunct the North Node) relative to old dynamics triggered thru current life circumstances, the process of making the new choices is incomplete. As a result, the dynamics symbolized by the planet/house of the squaring planet and the South Node and its planetary ruler are the 'skipped steps' in terms of those old issues/dynamics that are being triggered through the current life circumstances and are the ones that must be recovered so that the person can again make the effort to make new choices relative to those old dynamics and issues. The new choices correlate to the Pluto/North Node conjunction. (Q): When a planet squares the nodal axis, regardless of whether or not the nodes are retrograde, would you rotate the nodal axis clockwise to see which node formed the last conjunction to the squaring planet? (Q): When you have a planet in Scorpio square the nodal axis, indicating a skipped step, then Pluto rules that planet. If Pluto is conjunct the rulers of the North and South Nodes, do you still work toward the polarity point of Pluto for evolution, or would it be the same as if Pluto were conjunct the North Node, i.e., develop the North Node? (A): You would still work toward the polarity point of Pluto. The only exception would be if the planetary ruler of the South Node were conjunct the planetary ruler of the North Node and both these planets were conjunct the North Node. (Q): When a soul has two planets in opposition to each other and square the nodal axis, with the ruler of one of the planets on that planet's own resolution node and the ruler of the other planet also on its planet's resolution node, would that indicate that the skipped steps were worked on prior to this life, but were not completed? If so, would that mean a doubling of the intensity in the recovery of the skipped steps and an emphasized lesson in learning to listen to others relative to those skipped steps (since the rulers of the planets square the nodal axis are opposite each other)? (A): The answer is yes to all of the above, but you need to determine if the conjunction of each of the ruling planets to the resolution node is a balsamic or new phase. In the case of a balsamic conjunction, the 'skipped steps,' i.e., circumstances in this life that trigger the dynamics associated with the skipped steps, will be in place most of the current life. In the new phase conjunction, the circumstances that trigger the dynamics associated with the skipped steps manifest and culminate relative to the first Saturn return in this life. The material below comes from JWG's old message board that was put together by subjects through the efforts of Adina Mather who spent a considerable amount of time in so doing. You have done a magnificent job in assembling all of this material from the old messageboard. Very helpful, time-saving, clear and clarifying. Yes, thank you so much for all these topical threads you have created Adina - such a gift for all of us! Hi Rad, I want to check my understanding of something. When planets are within orb of a square to the nodes but are BEFORE the elongation of 10 degrees - thus not officially squaring the nodes - it is intuitive to me and I have observed, and I recall reading it here somewhere that there is the possibility of a skipped step implying that the intensity has not yet built to the point of a skipped step but it can if the issue is not addressed (example: nodes at 14 Scorpio/Taurus and a planet at 2 Leo). (Q): I am looking at a chart that has Pluto at 16 Virgo conjunct Uranus at 14 Virgo and Mars at 10 Virgo. These all square the South Node in Sagittarius and the North Node in Gemini. The ruler of the North Node and also the Virgo planets (Mercury) is conjunct the South Node in Sagittarius. It is an Aries Ascendant chart with no intercepted signs, thus all the signs are in their natural houses. Pluto is applying to the Gemini North Node, but the ruler, Mercury, is conjunct the South Node. This seems to exacerbate the Pluto Square. What is the resolution for this? All I know of this person is that they are stuck in a pattern and see no way out. This seems to be the felt effect of Pluto square the nodes. In addition, transiting Pluto is squaring the natal Pluto at the moment, so certainly these issues would be coming to a head. The polarity point of Pluto (Pisces) is tenanted by Chiron which also squares the nodal axis creating a mutable grand cross. It seems to me that the individual needs to find his center in the movement of change and that the sense of security he is seeking is found in each moment by creating new self-awareness born of how he reacts in new situations instead of holding onto old situations that may feel secure but work against the intention of the mutable archetype. 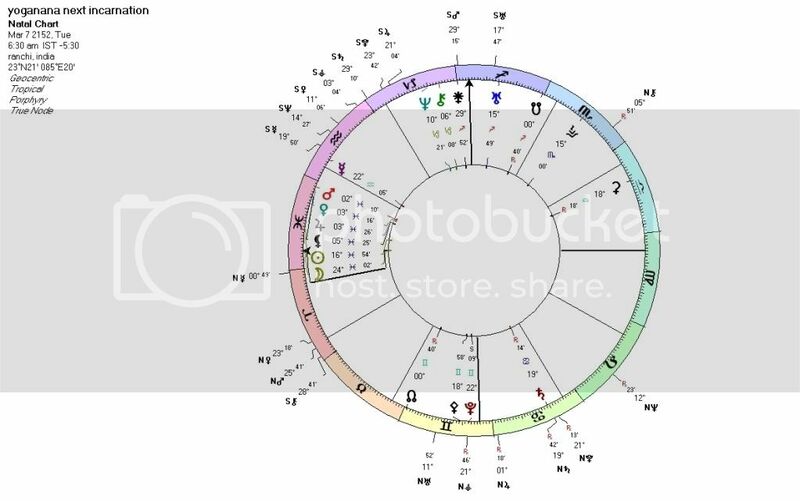 All of the planets in the chart are in mutable and fixed signs, but I don't know the actual houses. The ruler of the North Node is Jupiter in Taurus. What steps do I take to unravel the resolutions and what polarity points apply? Also, how do you work with charts when the exact birth time is unknown? (A): The resolution is entirely thru the North Node and the ruling planet, Mercury, which is conjunct the South Node, relative to Chiron's squares to these nodes. The South Node last formed a conjunction to Chiron; this is why the person feels so stuck. All is bound up with the prior patterns that he has brought into this life, which are all based on setting in motion so many different directions and dynamics that were never completed or fulfilled, and the karma therein, which is trying to complete itself via the skipped steps in this life. In the end, it comes down to the person accepting the fact that his soul is needing and desiring to 'unravel' all the complications that he has made for himself and others due to not following thru or completing what was set in motion before this life via directions and dynamics for himself and others, and, again, why he feels stuck. But this is of his own making and the challenge is for him to adjust his psychological attitude to what this life is about: to finish that which was not finished before. This can be done thru embracing the Pisces consciousness of the Chiron in Pisces, a form of consciousness which is not getting stuck or focused on each detail or circumstance of the life, but a consciousness that is 'above' it all, transcended if you will, which then allows for a 'response' to each situation within and without that must come and be allowed to culminate in the knowledge that he is responsible for these conditions. Only in this way can he be freed from it all and move into the next life unencumbered by what is culminating in this life. If not, he will repeat this chaos again. (Q): I'm working with a client who has Pluto in Virgo in the 12th house, the South Node in Pisces in the 6th House, with it's ruler, Neptune, in Scorpio in the 2nd house. The North Node is also in Virgo in the 12th house, with its ruler, Mercury, in Gemini in the 9th house squaring the nodal axis. This client is male, Jewish, White, born in the U.S., middle class socio-economic conditions and 3rd stage individuated. How would you interpret the North Node ruler also being a skipped step? (A): There has been an inflation of the ego thinking that his ways, methods, beliefs or philosophies, and his way of 'interpreting' a given phenomenon has been the only right way. Also, even though the soul has been thirsty for information and philosophies and the meanings of such, there have been patterns of collecting information relative to this desire without that information being linked with actual inner revelation or understanding. That is, he has collected all types of knowledge from external sources and in his own eclectic way tried to synthesize it into his own 'knowledge.' The lesson through the skipped step is to stop the external collection of knowledge and to go deep within himself intuitively and learn to ask questions within and then wait for the answer to inwardly appear of its own volition. (Q): I am looking at a chart with Pluto, Uranus and Mars all in Virgo in the 10th house opposing Sun, Saturn, Mercury and Chiron in Pisces in the 4th. They all square the nodal axis, with the South Node being in Sagittarius in the 1st and the North Node in Gemini in the 7th. In Pluto 1, you talk about Pluto square the nodal axis as intensified "skipped steps" and mention that with other planets forming aspects to the nodal axis one needs to determine the evolutionary condition. With Pluto involved in this square, does that mean all the planets involved are "skipped steps?" (Q): The polarity point of Pluto applies, and Pluto is applying to the North Node. With the resolution being in the 4th house through the Pisces polarity and South Node thru the North Node, what is the meaning and intention of the North Node ruler, Mercury, also squaring the nodal axis? (A): To recreate dynamics that equal circumstances of the past life patterns but to now make 'new choices' in the face of those circumstances versus the old choices. (Q): Also, in the case of "skipped steps" you talk about the second Saturn return as a possible resolution (which is a while off for this chart). But currently Pluto is in orb of conjuncting the South Node and activating the whole grand square pattern. How does this work as an opportunity for resolution? (A): By making new choices in the face of old circumstances and dynamics. (Q): Would this indicate a key evolutionary time? (A): It's critical and correlates to a time that the soul has been waiting for in order to break free; time to seize this opportunity. (Q): Since house positions are so important, how do you work with charts of unknown birth time? (A): You have to have the ability to determine the birth time when unknown by using the evolutionary paradigm itself. Pluto can only be in one of 12 houses, so it becomes a matter of asking questions that correlate archetypically to each house, questions that have a yes or no answer. It is a matter of elimination in order to determine the house position of Pluto in this way. At that point, you have reduced all potential birth times to within a two hour time frame. From there you ask questions that would connect or correlate to the archetype of the possible signs that could be on the Ascendant, with the various planets shifting by house as you do so. It is this kind of elimination that will produce the right birth time to within minutes in most cases. (Q): I have a difficult time synthesizing planets and nodes that are flipped in the chart in house position; for example, a South Node in Sagittarius in the 3rd, with the North Node in Gemini in the 9th. I find it even more confusing if, for example, the ruler of the South Node (Jupiter) might be in the 9th. I also have difficulty figuring out the bottom line of a polarity point of Pluto such as a Pluto in Virgo in the 12th, with the polarity point being in Pisces in the 6th, since the Pluto is describing already some of the past conditions which involve Virgo-type experiences, but the polarity point is then in Pisces and conditioned by the Virgo/6th house. I have a difficult time weeding out what has already been experienced as opposed to what is the yet inexperienced evolutionary intention. Do you have any hints as to how I can frame that in my thinking so I can integrate it? (A): Yes. This is a difficult thing for many people to understand. Just remember that the house always comes first as a primary cause, then the sign that conditions that bottom line or house. In these oppositional symbols you first have the theme of a natural paradox that the soul has created for itself, and the intent within this life is to unlock and reverse that paradox. Using your example of Pluto in Virgo in the 12th house, and assuming a first stage spiritual condition, the soul has had as its core desires the 12th house: to consciously begin the journey back to God/dess, to 'spiritualize' the consciousness, to understand its relationship to the Creation, the Creator, and so on. And yet in this desire, the Virgo archetype has tried to understand and realize the underlying desire thru 'learning' a variety of methodologies and 'techniques,' of desiring to check out and explore a diversity, over lifetimes, of different forms of 'spiritual knowledge' at an intellectual level, as if the gathering of such information was the 'way' to actualize this intent. The result is that the core desire itself gets 'lost' within this cumulative diversity of 'spiritual' thought forms that lead the consciousness this way and that way, and ultimately landing in a state of hopeless confusion when the thought forms begin to collide and conflict with themselves, and so on. In many cases such souls were fooled by wrong teachers and 'teachings,' all of which seemed so good and right in whatever moment the soul was attracted to them. This leads progressively to a state of disillusionment and bewilderment, a kind of spiritual bitterness, even as the core desire is sustained. Thus, the polarity point becomes Pisces within the cause of the Virgo or Sixth House, which means to unlock and reverse this paradoxical condition by remembering how to simplify the core desire of the 12th house, to get out of the left brain head of Virgo and thus all the techniques and methodologies, and to throw away the books and stop 'analyzing' God/dess, and oneself thru extension. It means to stop listening to external authorities and to simply 'remember' how to feel, smell, touch, and experience God/dess in every moment in all things that the person does, both without and within, and to remember the most simple of natural truths that are based upon the natural law of cause and effect that keep the consciousness ensnared in thought itself. By using the natural law of breathing, with the inhale/exhale equaling the law of cause and effect, thought and counter thought, this allows for the remembering of how to allow the body to stop breathing and thru concentration within the third eye, it then allows for a conscious union of the soul with the Source, God/dess; all 'complexities' will now be dissolved in this simple truth. There will be no more analysis, just simply direct knowledge and 'knowing,' with a switch from left brain to right brain knowledge. The paradox is now unlocked for good. (Q): I am not yet feeling how a planet functions as a skipped step. I am looking for material to refer to or some way to extrapolate from the Pluto material what the key note might be of each planet as it functions to represent a skipped step. For example, if I think of the archetype of Aries and Mars--new beginning, identity, perpetual self-discovery, desires, self, will--and if Mars is the skipped step, then can any and all of this be the content of the unfinished business? (A): Yes, and typically it can also include unresolved anger or rage and the sense of having a special destiny that is unfulfilled. The key to all of what you have asked is observing many clients over many years. Study the charts of 'famous' people and retrofit their life experiences to what you observe in their charts. (Q): Is there a general evolutionary condition when the rulers of the North and South Nodes are square? (Q): Is there a general evolutionary paradigm when the Ascendant is square the nodal axis, and what is the nature of the skipped step here if there is a general one? (A): Primarily, this involves an emotional paradox linked with relationships. The cause is that the Soul feels within itself that it has some special destiny to actualize, with the feeling itself being primarily instinctual in nature. As a result, the Soul desires to have enough circumstantial freedom in order to act upon the instinctual desires that will lead to the actualization of that special destiny. Conversely, the Soul also desires to complete itself thru relationships, not as the dominate partner in which the relationship primarily revolves around the individual, the Soul, but in a relationship based on true equality in which they give to the partner for the sake of giving, as well giving to the partner what that partner actually needs versus what the soul/individual thinks that the partner needs. This has created the emotional paradox for the Soul because the fear that is generated relative to the paradox is a fear of being limited or 'entrapped' within such a relationship that is perceived to then undermine the need for freedom that leads to the actualization of the 'special destiny.' As a result, the Soul will re-attract in this life partners from other lives in which the relationship has not been completed based upon the above evolutionary need. (Q): In the case where Pluto is conjunct the North Node but a planet is also conjunct the South Node and is square the Ascendant, how would this dynamic serve as a block to the North Node/Pluto conjunction? (A): The above dynamics would be magnified a great deal until the lesson is learned. Added to these dynamics is the evolutionary need for both individuals within the relationship to actualize their own inner security within the relationship and, depending on the level of evolution, i.e., from the third stage individuated and above, the need to begin the radical deconditioning from the existing society's 'norms' of what a relationship is, to begin to return to natural law and natural gender actualized and defined within the relationship. (Q): In regards to the question about the rulers of the North and South Nodes being square, in this case adding to the emphasis even more, the planets are: Mars in the 1st ruling the South Node and Venus in the 11th ruling the North Node. Going by what you said, this symbolism fits perfectly: i.e., I would intuit that the dynamic of being instinctually driven to fulfill a special destiny and needing the space to actualize it (Mars in the 1st) and at the same time wanting a relationship based on true equality (Venus in the 11th) would in this life have to be given a new form to operate through (Square). So, wouldn't this be a case where even though the planet (Sun) conjuncting the South Node (opposite the North Node/Pluto conjunction) is stressful (square the Ascendant), it's actually 100% supporting the bottom line soul intention of inner security/absolute resonation with natural law (Pluto in Libra in the 4th house)? 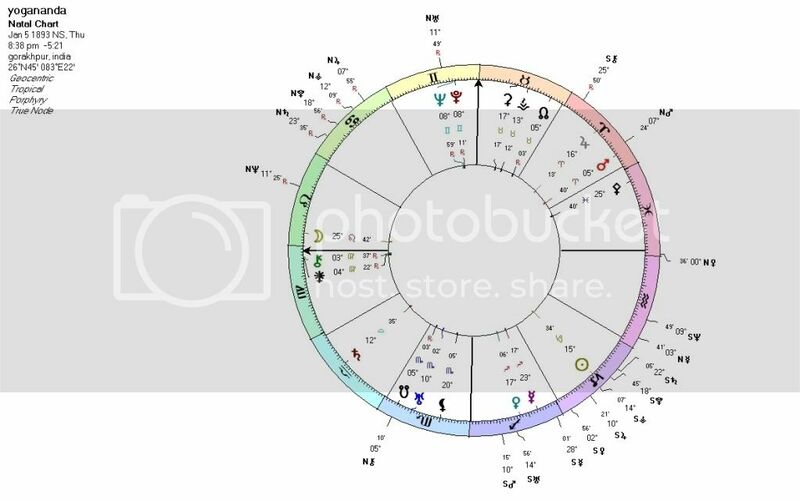 (Q1): I'm looking at a chart where the Sun in Aries in the 3rd house is squaring the nodes, with the North Node in Capricorn in the 12th house. Does this mean that the person needs to incorporate that Sun as a previously skipped step and that the resolution node for this life is the south Node? Or does she have to incorporate that skipped Sun to finish up the South Node dynamics and then return to the orientation of the North Node? (A): When the Sun squares the nodes it does not mean or correlate to previously skipped steps. The Sun correlates to our current life purpose and how we go about integrating our sense of purpose within the current life. When the Sun squares the nodes it means that the soul could create skipped steps in this life. The potential skipped steps would be seen in the house/sign/aspects to the Sun relative to the houses and signs of the South and North Nodes, and the placement of their respective planetary rulers by houses, signs and aspects. Thus, when this symbol is seen in the birth chart, it is necessary to understand this and counsel the person accordingly; i.e., the full development of all those archetypes. If this is not done, it will then manifest as skipped steps in the next life. (Q2): When the Sun squares the nodal axis, does the same rule apply as to any other planets? (A): No, the Sun does not correlate to 'skipped steps' from a prior life point of view. It does mean that the potential of creating skipped steps in this life exists within that symbolism. The nature of the skipped steps would concern the houses and signs of both nodes, the house and sign of the Sun, and the location of the planetary rulers of both nodes by houses, signs and aspects. Plus, the house that has the sign Leo on it would also be included. Mindful of all those dynamics, it is necessary, in this life, to fully actualize all of those dynamics, not some, but all. If this is not done, this will correlate to skipped steps created in this life that are taken forwards into the next. (Q3): I was wondering if this is also the case during a solar arc or progression of the Sun to the nodes, that one has to be mindful of the dynamics one is creating and also if one is trying to avoid something, then the person will not be let off the hook easily, so they might as well deal with it. Does that sound right? (Q2): Thank you. I felt something like that, but wasn't sure how to interpret it. The chart I'm looking at made me realize that the Sun's square must mean something very newly developed, and the present life choices must be the key. 1) To create a life style and a livelihood that is based on the person's intuitive knowledge and a more spiritual involvement, thus moving the service area that the person already practiced in past lives and the present life in common areas to more spiritually inspired areas (natural spirituality versus patriarchal spirituality). 2) Developing a technique that "feels right" for the person as a daily spiritual practice i.e., some kind of yoga, deep meditation, etc. to get in touch with his "inner self," the soul, and his true desires (4th house Neptune, Sun in the 8th in Pisces), as well as some kind of healing method that helps to uncover the deep wounds to the emotional body that resulted from traumas of this life and others. 3) Osmosing, merging with totally new bodies of knowledge that will help to remove the limitation of the old "reality structure" that was based on authority from the outside world and to now develop inner authority (Pluto and Jupiter polarity point)? 4) By doing the above, the intent is to create an utterly independent life style and livelihood that reflects the newly gained understanding, and teaching and sharing that "new truth" or natural truth, to others in order to help them to liberate themselves, too (5th house North Node in Sagittarius). In this way, the South Node intention to serve humanity on a larger group scale will also be fulfilled. 5) To create or re-create a relationship with absolute commitment that is based on equality without any kind of dependency on the part of each of the partners. To transform sexuality from the patriarchal "mechanical" involvement into a total emotional and physical involvement with full eye contact. Remove all consensus norms of "being in relationship" or "being man and woman" and "playing the old roles". Encouraging the woman to play out the more aggressive sexual role that can bring healing for the sexual suppression and guilt in both. Am I on the right track in trying to understand the life lesson in this chart, or am I overlooking something? (A): Yes to all of it, including the natural forms of Tantra that manifested from the original matriarchy. (Q): Does the Moon square the nodal axis also indicate some new present life challenge and the possibility of making decisions that would lead to skipped steps in the next life? (A): First, any planet (except the Sun) that squares the nodes, including the Moon, correlates to 'skipped steps' from other lives--always. Thus, there is 'nothing new' in the current life that correlates to skipped steps. The soul will recreate the circumstantial reality in this life that mirrors and triggers prior life dynamics that correlate to what those skipped steps are, and if the soul makes the 'old choices' as it did in other lives, those skipped steps will be carried forward yet again. Conversely, if the soul makes the 'new choices' that honor the evolutionary necessity of recovering those skipped steps, then the soul's evolution can proceed. A simple example is myself. I have a Pisces Moon in the 4th house square the nodes, with the South Node in Sagittarius in the first house and its ruler, Jupiter, in the 12th house, and the North Node in Gemini in the 7th house. First, I was totally anti-relationship yet again in this life. My only relationship being to the Source. All else was stupid and irrelevant to me, and, of course, having children was out of the question. Thus, the circumstances necessary in order to induce the old dynamics that demanded new choices relative to the skipped steps of emotional intimacy with a human, and thru extension children, that could follow that, did occur. And I did make those new choices in the knowing of this evolutionary issue. I have now raised eleven kids in this life, with five of them being step-kids, all of whom have a Pisces Moon! (Q): I was reading the Yogananda article about skipped steps and was wondering if another way of describing skipped steps was simply 'soul desires'. So, if you see skipped steps in a chart, they signify 'unfinished desires' of the soul to experience or play out certain things; e.g., Yogananda desired to be a Himalayan monk. Thus, skipped steps are then free will decisions not 'defaults'. When you write and speak about skipped steps, I've always interpreted them to be regretful or loathing, but now I see them in a different light. Is this the correct way to look at them? (A): When we see the skipped step signature in a birth chart, those skipped steps are 'fated' to occur in one's life, but the soul has a free choice to act up the evolutionary and karmic necessity to recover those skipped steps or not. Even though Yogananda had an intense desire to go and be a monk in the Himalayas, his evolutionary destiny, necessity, and 'fate' did not allow that in the context of the life that he lived. Thus, that desire, relative to his own evolution, was unfulfilled in his life, which will then manifest in the next as a skipped step. Looking at the chart that correlates to his next birth, you can see that that desire and skipped step can be fulfilled. (Birth data for Yogananda's next incarnation: March 7, 2152; 6:30 am IST - 5:30; Ranchi, India). It could not be more black and white. (For anyone who has read about or studied the life of the great Paramahansa Yogananda you may have become aware that he himself stated that he would be reborn exactly two hundred years from the day of his physical passing. He stated that he would come back to Earth one more time in order to fulfill his strongest desire while in the life of Yogananda: namely to be a monk in the Himalayan Mountains). As in anything in life, it totally depends on one's inner orientation to the life that correlates with one's 'attitude' toward what the life is and must be. (Q): I have looked through the Pluto books, but am unable to answer this. I understand that a skipped step can be the inconsistent development of the issues of the North Node, South Node and the squaring planet, Pluto and Pluto Polarity Point. Can it also mean that the issues described by the squaring planet (skipped step) have been developed but not in a way that returns the Soul to the Source evolutionarily speaking? (Q): For example, say the Moon in Aries in the 7th house is squaring the nodal axis. Can this be that there has been violence, over-development of an ego dependent upon asserting the self upon others in relationships? Or would it always mean an inconsistent development of the self-assertion of the ego when in a relationship? (A): The skipped step here involves totally breaking free from a dependency upon relationships, which is typically caused by immature emotions linked with the parental environment and the need to sustain such relationships for those reasons. (Q): I am working on a natal chart where the South Node is at 1 degree of Taurus and the North Node is at 1 degree Scorpio, retrograde. Uranus is at 7 degrees Leo Retrograde. Uranus went retrograde that day and then direct a few months later. I am thinking that the 7 degree orb is a little too large to call it a skipped step in this life. Is this correct? (A): No. We need to use an orb of ten degrees, so this is definitely a skipped step. (Q): Would this suggest that in a relatively recent life he began to recognize and incorporate the skipped step? Would this life be a continuation of the previous progress/process? (A): The chart cannot tell us that; only the person himself can tell us the choices he has or has not made. Questioning of the person is essential. (Q): My question concerns the evolutionary resolution of planetary functions other than Pluto in square aspect to the nodal axis. I understand that in such circumstances both nodes have not been “totally developed, understood, resolved, or integrated,” with respect to the squaring planetary function, causing the individual to be “torn between issues pertaining to the past and future.” In order to resolve the “skipped steps,” he or she needs to consciously understand the lessons of both nodes and how to approach and develop them completely. In general, and in relation to the desires that the individual should act upon in order to recover and integrate the “skipped” dynamics in a new way, in what way is the process of resolution affected by the fact that the squaring function is the planetary ruler of the South Node and made its last conjunction to the North Node whose planetary ruler is conjunct Pluto’s polarity point? In what manner does the polarity point of the squaring function influence such a condition? (A): In this case, it means that the soul has already attempted to totally actualize the polarity point of Pluto prior to the current life. Yet the opposition also means that the individual would cyclically create circumstances to throw it back towards the South Node and the planetary ruler of that South Node. It's almost like an act of willful rebellion at 'what needed to be done' and so the skipped steps remain. With the North Node as the last node to form the conjunction to the planetary ruler of the South Node, it means that the soul must continue to work specifically on the house and sign of the North Node and the polarity point of Pluto, which is the planetary ruler of that node, by focusing on those two areas all the time with total conscious intent. Then the South Node and it's planetary ruler will evolve. The skipped steps are recovered in this way. (Q): If the Ascendant is square the nodal axis, does that indicate a skipped step? If so, what is its significance? (A): No, not from a prior life point of view. It does symbolize the potential of creating 'skipped steps' in this life relative to the house and signs of the North and South Nodes and their planetary rulers, relative to the Ascendant. (Q): While I know we must have a full chart for the interpretation of a specific aspect, would you expand on the Pluto school tape information on the general meaning and intent of and how one can work with the following transits of the nodal axis: the nodal return, the transiting nodes square the natal nodes and the 'opposite' nodal return, i.e., flip-flopped? (A): The nodal return of the Moon correlates to the simultaneous `culmination´ of the previous 18 years as well as a new beginning relative to the underlying evolutionary intent for the whole life as symbolized by the natal placement of the nodes and their planetary rulers. Of itself, it thus correlates to a major metamorphosis of the existing inner and outer reality of the soul: like the symbol of the cocoon. As a result, it offers the opportunity to the soul to simultaneously `reflect´ on the previous 18 years, if not the whole life, in such a way that the reflective process itself allows for a great deal of self-knowledge as to why this, or why that as it pertains to one’s life experience. The reflective process then allows for new awareness as it correlates to how to continue the ongoing evolutionary intent for the whole life but now in `new´ ways that reflect the caterpillar coming out of the metamorphic cocoon. The transiting Nodes square the natal Nodes: First, we must determine if the squaring nodes are a first quarter or last quarter phase. For example, if one has the natal South Node in Sagittarius and North Node in Gemini, and the transiting South Node is in Virgo and North Node in Pisces, the transiting South Node would correlate to a first quarter phase relative to the natal South Node being in Sagittarius. The North Node would, of course, be in a last quarter phase relative to that same natal South Node in Sagittarius. The new seeds planted, relative to the underlying evolutionary intent of the soul as symbolized in the natal nodes, at the nodal return, as above, have been progressively acted upon, new phase, then established, crescent phase, and now must be given an expanded form when the nodes square themselves relative to the first quarter square. This requires a new way of thinking and understanding for the expansion to take place: the transiting North Node square in last quarter phase to the natal South Node. This becomes ever more complex for the soul when we consider that the transiting North Node is in a first quarter square relative to the natal North Node, and that the transiting South Node is in a first quarter square/phase to the natal North Node. So it should be obvious that this correlates to a major evolutionary transition or `gate´ in which the potential for creating `skipped steps´ can occur. The evolutionary intent is to expand upon the new seeds planted and established at the time of the initial nodal return. The Soul, accordingly, finds itself in a very restless state when the transiting nodes are squaring the natal nodes. The restlessness reflects the need within the Soul to grow ever more. As a result, the consciousness of the person is full of new ideas reflecting this need to grow and expand, and how to understand those new ideas. If the Soul then acts upon these new ideas, such growth will take place. If not, it will lead to `skipped steps´ that will either be again given opportunity for resolution when the nodes are in opposition to themselves, or when the nodes yet again square themselves in the future. If not resolved at those times, these skipped steps will manifest in the next life and be symbolized in that chart accordingly: planets squaring the nodes. When the transiting nodes are in opposition to the natal nodes: This correlates to a time frame in which the Soul is given the opportunity to `throw off´ any dynamics that correlate to the Soul’s past that are no longer necessary and are, in fact, serving to block the Soul from further evolution. As a result, the Soul will recreate dynamics that are part of that past thru current life circumstances. The intention in doing so is to make the Soul make `new choices´ in the face of those old dynamics as triggered thru the current circumstances of the life as symbolized by the nodes being in opposition to themselves. This includes the recent past as symbolized when the transiting nodes squared themselves as above. This means that if the Soul resisted the need to grow and expand at that time, the very dynamics that created that resistance will be in the person’s `face´, so to speak: the nature of the opposition. If the soul can `throw off´ those dynamics, then a great release from the past can occur. If not, it will lead to the ongoing dynamic of skipped steps. (Q): I am studying the chart of someone who is individuated and spiritually very stuck. He has three fixed squares in Scorpio that include Mars. I already would think that the fixity of this situation would make it very difficult for this individual to recover these in this lifetime. Next I noticed there was no gap between these squares clearing and his progressed Neptune in Scorpio coming to Square the nodal axis. Is it correct understanding that progressed squares to the nodal axis would indicate an area where we are currently stuck? (A): Yes, a major growth time. It could lead to skipped steps if the choices made do not correlate with the intention of that progression. (Q): Is it correct to assume that fixed sign skipped steps are harder to recover than cardinal or mutable? If a soul indeed chooses all of his or her aspects before coming into life, this individual seems to have made it remarkably difficult for himself to grow. (Q): In synastry charts, when one person's "skipped step" planet is aspecting another person's "skipped step" planet (by conjunction, square, opposition, semi-square, etc), is there an overall internal feeling generated of "attraction/repulsion?" Understanding it will depend on the "signature" of the planets/houses/signs/aspects and degree of individual awareness and integration of those sipped steps. Is this a significant indication of past life interaction and unresolved relationship issues? (Q): In synastry, when two individuals' lunar nodes square one another, does that confer any extraordinary significance from an evolutionary perspective? (A): Yes. It means they have unfinished business, skipped steps, together. By placing each other's nodes in the other's chart, the nature of the skipped steps will be indicated in each house the nodes fall within--both ways--one's nodes placed in the other's chart, and visa versa. The four houses combined equal in total what those skipped steps are about. Rad, the question I have about all of this is that, as I understand it, it was his purpose to live in this world as he did - meaning the work he did in this world as Yogananda was what he was here to do. I have always understood, and recognize when I look at charts, that skipped step signatures usually mean just that - a "skipped step" something that has not been addressed and resolved for whatever reasons. That in and of itself implies an evolutionary requirement that had not been addressed. Here is the chart of Yogananda. I want to see if I understand the correlations between his pats life and his next life via the charts to the best that I can correlate this. In yogananda's chart the DC is in fact Pisces which is ruled by Neptune in the 10th which squares the DC and is also opposed to Venus - this does correlate to the evolutionary requirement to evolve out of the need for personal relationship and to form a relationship with the absolute. The square implies a natural crisis in that regard, something that required great spiritual determination on his part. Would the square in this next life imply that there are yet unresolved desires for personal intimacy that he will work out in the next life - thus manifesting the Pisces personal planets squaring the sn in Sag to full focus this soul on his relationship with the absolute? In his next life the skipped step planets are exactly conjunct his DC in Pisces from the life of Yogananda. In the context of Yoganada that Venus, Mars, Jupiter squares to his Nodal Axis correlate to his own Soul's need to complete his relationships to certain disciples that he has had over a variety of incarnations that are not yet completed. He said as much in the life of being Yoganada in that he stated that beyond the fulfillment of his own desire to be that Himalayan monk that that life would also serve as the basis of completing relationships with those certain disciples. Thus, the skipped steps will be resolved with them. Thank you so much for collating all this material for the recent threads - it is a great gift that you've made it so accessible. Thanks so much for contributing this material to the message board! I'm curious how a planet in one person's chart will affect each individual when creating skipped steps in another chart. For example, if Jupiter in chart A is squaring the nodes of chart B, then Jupiter is a skipped step for both individuals. Could it mean that the Jupiter individual (A) has been a teacher, for example, to the nodes individual (B) in previous lives, yet in the skipped step scenario did not complete the lessons of the nodes? So in unlocking such a skipped step, would the resolution node need to be worked on by both individuals? And if so, would the houses of both charts need to be worked on? For example, if the natal Jupiter (of chart A) is in the 9th squaring the nodes of the chart B, which fall in chart A's 6th/12th.. then chart A has skipped steps with chart B in teaching meta-physical/spiritual methodologies.. but then if the nodes of chart B are in the 2nd/8th and person A's Jupiter is squaring from person B's 5th.. then person B has lessons around life-purpose/empowerment issues related to that teaching. Is it then correct to consider that the meta-physical methodologies taught by person A created skipped steps for person B in terms of life-purpose/empowerment issues, (which could be projecting power/grandiosity onto teacher A which ultimately lead to disillusionment), which both need to address via the resolution node? Would person A then address the resolution through where the node falls in his/her house and vice-versa, which in this example could be a lesson of humility for person A (6th house), and a lesson of inner power/self-sufficiency for person B (2nd house)? Of course this is just a simplified explanation of which there are many considerations. If the above is a correct way to approach interpretation, does the skipped step only become unlocked when both parties have understood and addressed their side of the skipped step? Thanks so much for editing and sharing this valuable material; your generosity is very helpful to understand EA and help others, for me a living model in the Natural Law Path of Return. Sorry for missing your question. YES, the way you have understood this example is entirely correct. "Ulrich taught us in Hamburg in 1997 that you simply pretend to stand on the planet squaring the nodal axis and look into the center of the zodiac, then you look to the node that is to the left of the planet. This node is the "node of solution" (the node which last formed a conjunction to the planet squaring the nodal axis)"
"(Q): When a planet squares the nodal axis, regardless of whether or not the nodes are retrograde, would you rotate the nodal axis clockwise to see which node formed the last conjunction to the squaring planet? I may be misunderstanding them, but when I follow each one of these I get the opposite result. I have Mars in Scorpio in the 12th. My nodal axis is NN in Aquarius in the 3rd and SN in Leo in the 9th. If I stand at the Mars in the 12th and look left, I look at Leo in the 9th. If I shift the nodes clockwise, the north node arrives at Mars first - from 7:00 or 3rd house, to 10:00 or 12th house. The correct answer is the planet to the left.